The best summary description of the Acer K520 would be that it's an 8.9 lb., semi-portable 1024x768 DLP projector with a 20,000 hour light engine. The hybrid laser/LED light source offers some important environmental and cost of ownership advantages, most notably that it's mercury free, it uses less power than a conventional lamp, and it's meant to last the life of the projector. But if no one told you about the light source, it's unlikely you'd notice that there was anything different about it. Like other models with hybrid light sources, the K520 uses LEDs for the red and blue primaries along with a laser shining on a phosphor element to produce green. The one hint that there might be something special about the projector is its low brightness for the $1,199 street price. Acer rates it at 2000 lumens, which is much lower than most recent models that are otherwise in the same class. The brightness level isn't necessarily a problem. 2000 lumens was typical for a portable business projector just a few years ago and it may be all you need. As for price, since the light engine goes 20,000 hours it eliminates lamp replacement costs for those who put many thousands of hours on their projectors. That means the K520 can easily cost less in the long run than a cheaper projector with a $250 lamp you have to replace, say, every 3000 hours. Add in the more than acceptable image quality for data screens, and the K520 can be a cost-effective, and potentially attractive, choice for a small to medium-size conference room or classroom. Be cautious about all these claims for 'low cost of operation' in LED projectors. I've had an ACER k11 for almost exactly 3 years now--no more than 2500 hours on it. Since Acer rates the lamp at 30,000 hours I was more than a bit annoyed when a message popped up a few days ago warning that the lamp was reaching the end of its 'useful life' in full power (standard) mode. I extrapolate that perhaps LEDs very rapidly lose their punch or maybe there's a quality control problem. 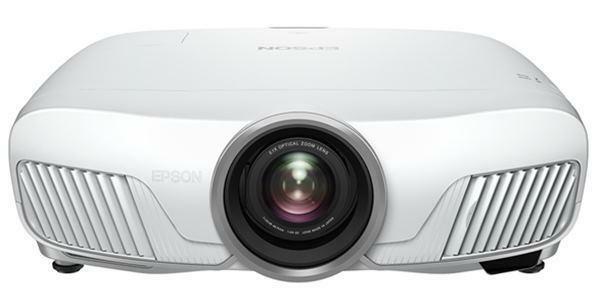 Following on the heels of an HDMI connection problem on a virtually new Acer k330 projector, I'm beginning to wonder if merely sticking with (buying bulbs for)the two more conventional projectors I have--a BenQ and Sanyo is more economical. The warning is only a timer and has no link to the condition of the lamp. I guess the the firmware is ported from other mercury lamp projectors from Acer. just reset the hours meter and the warning will disappear.